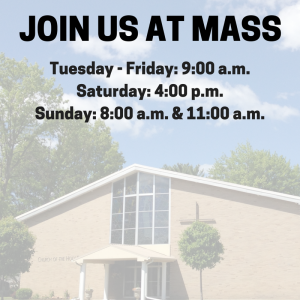 For additional information or to join any music ministry, please contact Nancy McNamara at 754-1266 or via email at music@holyfamilyendwell.com. To view a downloadable summary of the music ministry, click here. Cantors are liturgical ministers who proclaim the Word of God through song for the Responsorial Psalm and lead the assembly in other hymns and acclamations at liturgy. The cantors (high school teens and adults) also sing the verses of the communion song, allowing the assembly to process without books and enabling them to sing the repeating refrain. Many times during the liturgy the cantor is in sung dialogue with the people. Rehearsals are held on an individual basis. The ability to read music is preferred. Auditions are required. Choristers is our vocal treble choir for all boys and girls in grades three and up. At times, the Choristers sing with other parish music groups. Rehearsals are filled with singing, cantoring, and instruments such as handbells, xylophones, metallophones and glockenspiels. It is a wonderful way for our children to meet new friends and to become immersed in the music of our liturgical seasons! They have weekly rehearsals on Tuesdays from 6:30 pm to 7:20pm in the church and sing one Sunday per month (usually 11:00 am liturgy) and for other special liturgies from October through Easter. The Ensemble is a group of singers and instrumentalists (grade 9 through adult) who rehearse every Thursday, September through June. They participate at 2 weekend liturgies per month and at special liturgies throughout the year. The ensemble is looking for new members, instrumentalists and singers alike. There are open positions for all singers, in particular male tenors and basses. Potential instruments are guitars, winds, woodwinds, strings and percussion. There is a short audition for instruments only. The group’s repertoire includes contemporary liturgical hymns and also other sacred music written specifically for ensembles. Weekly rehearsals are held on Thursdays from 7:00 pm – 8:30 pm in the church. Genesis Choir, open to all high school students and adults, has weekly rehearsals September through June and sings at various weekend liturgies two times per month and at special liturgies throughout the year. The singing ranges from unison to 4-part harmony and the repertoire from renaissance to contemporary. There are openings for additional singers—soprano/alto/tenor/bass! No auditions given. Wednesday rehearsals (7:00 pm – 9:00 pm) run September through June. Handbell Choir rings 3 octaves of bells and is open to those in grade 7 through adult. No previous ringing experience is required. No auditions. The ability to read music is preferred, however, not required. Ringing is fun and fully engages the mind and body! The choir rehearses Mondays, 7:45 pm – 8:45 pm, September to June and plays at a weekend liturgy once a month and at special liturgies throughout the year. Resurrection Choir sings for funeral and memorial liturgies. Their music not only enhances the sung response of the assembly, but also adds solemn dignity to the liturgy. What is the time commitment? In addition to being available for funerals (the majority are held in the morning), choir members rehearse on the first and third Mondays of the month from 11:00 am to 12 noon throughout the year. No auditions are given. Membership in this choir is great for those who may be away during winter months and for those who may work second or third shifts. Summer Choir is a vocal/instrumental group that participates most Sundays of July and August. There are no rehearsals, only a 1/2 hour warm up before the 11:00 am liturgy begins. Those wishing to participate on a given Sunday make contact prior to that weekend. Anyone in the parish music ministry and in other area music ministries are invited to participate.